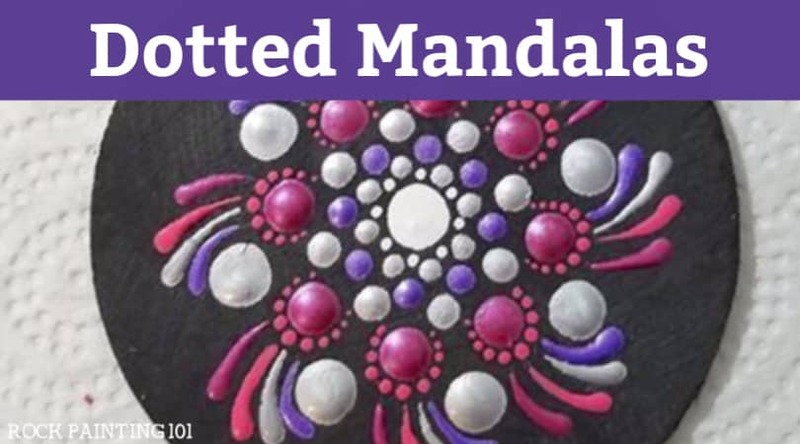 Even if you are new to mandala art, you can create beautiful mandala rocks! The ones pictured below were created with my simple hack that anyone can follow. 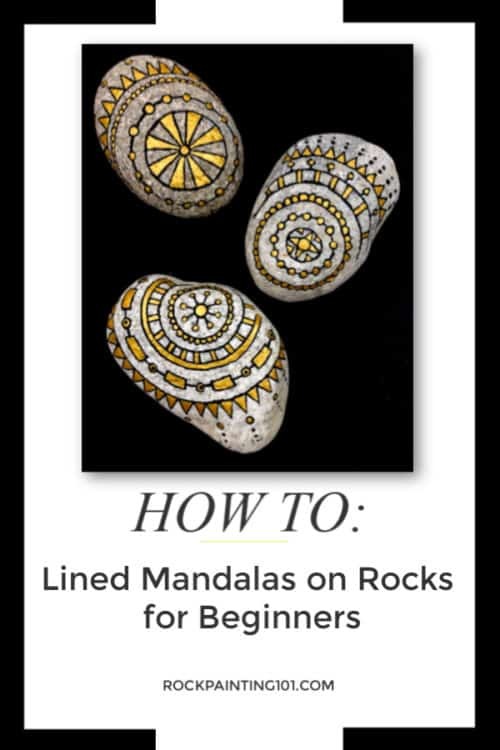 This rock painting tutorial is perfect for mandala beginners. 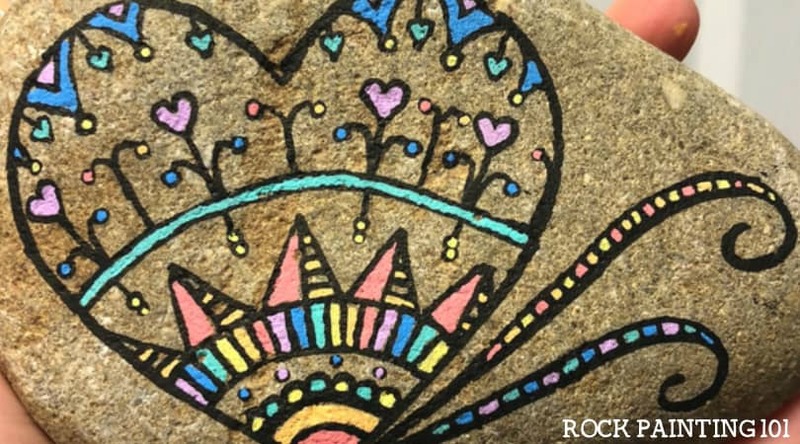 The more mandala rocks you paint the better you get at creating them. I have been bouncing back and forth between creating lined mandalas and dotted mandalas and find I’m getting better at both! However, I am always looking for ways to make the process easier. 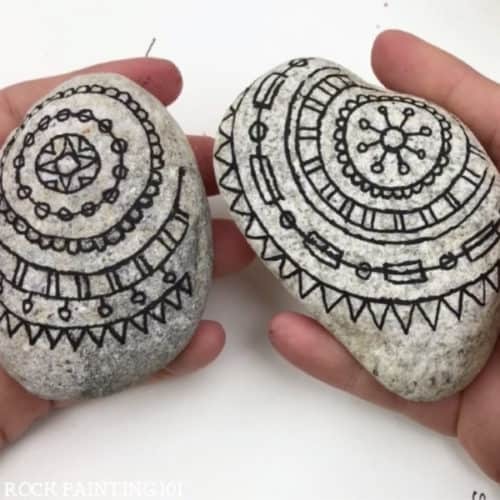 Now they may look intimidating, but like any other rock painting style a little practice and a few tips can go a long ways! 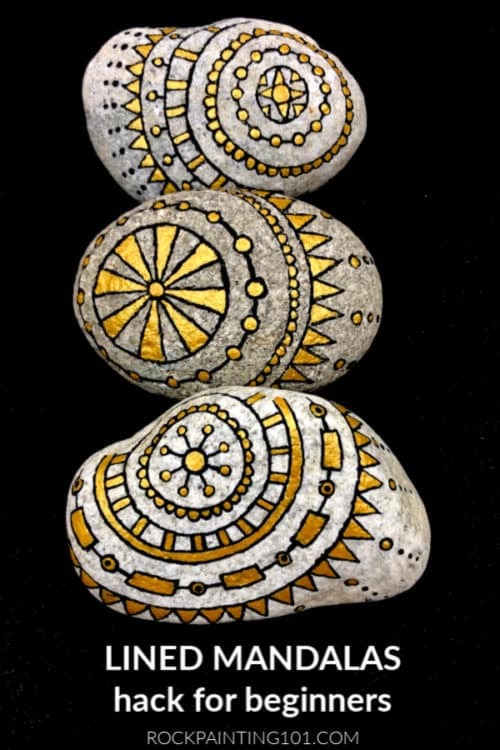 Today I’m sharing a fun little hack I used to create these black and gold mandala rocks. 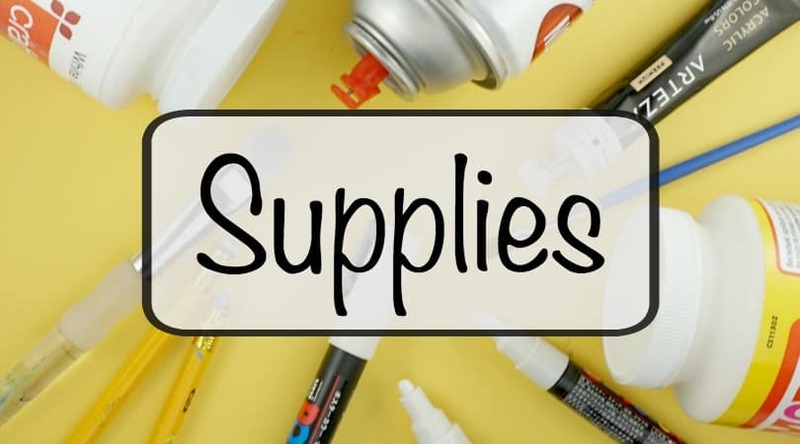 You will need a circle piece of paper and a hole punch to make your template. 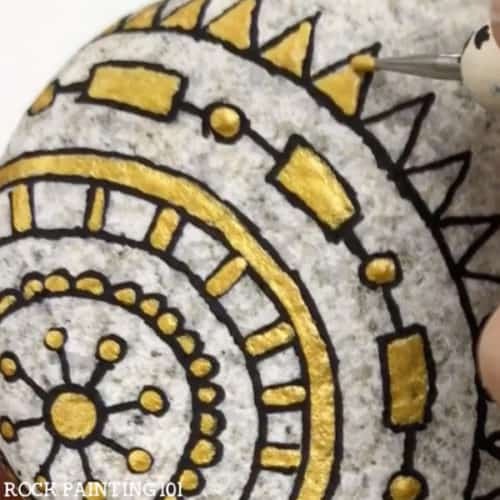 I used my black 1M Posca for all of the main lining on this rock. I touched up at the end with my fine tip Micron pen. 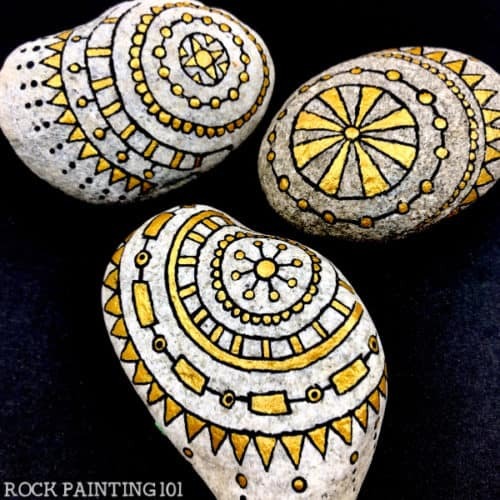 To fill in the gold you could use a paint pen or acrylics with a small brush or dotting tools. 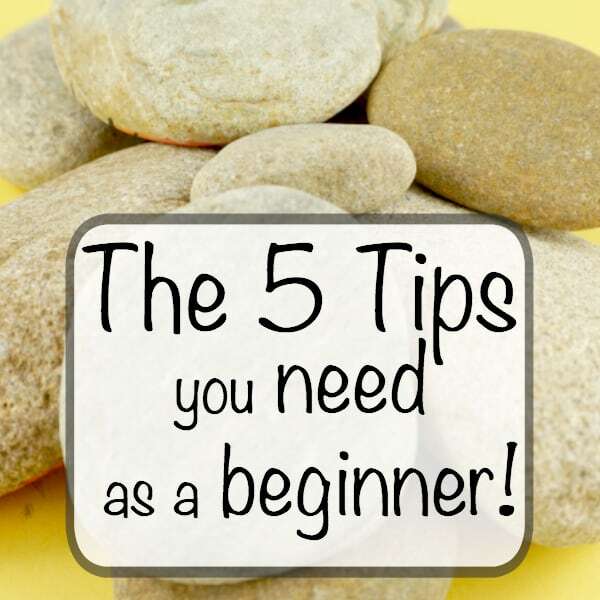 Start by creating a circle larger than your rock surface. Take your time cutting it out. 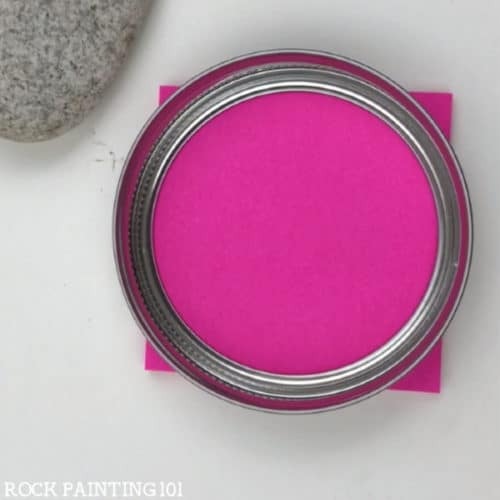 You want as perfect of a circle as possible! Then carefully fold your circle into fourths. 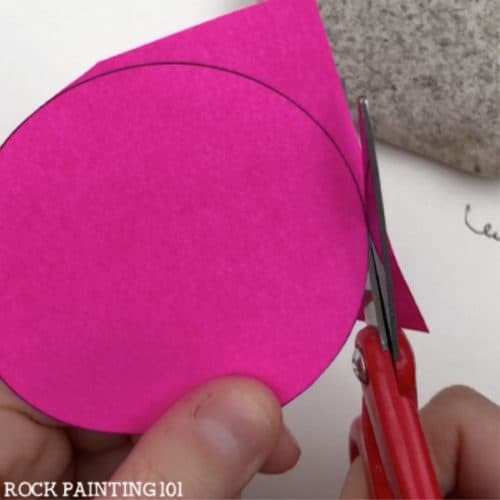 Using a hole punch carefully line up the point of your folded circle in the center of your punch. 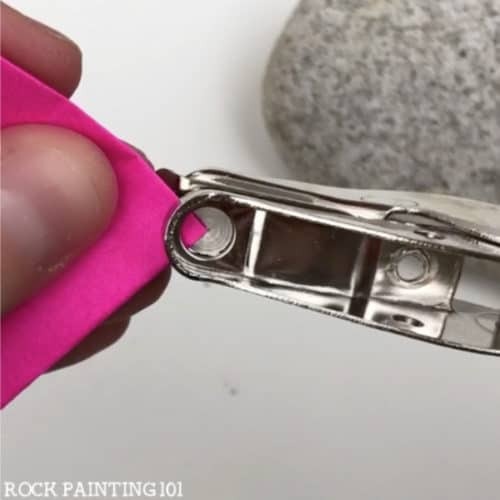 Unfold and place in an eye pleasing place on your rock. 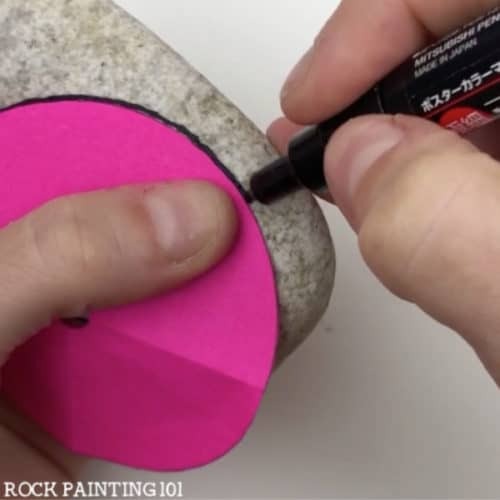 Trace the center dot onto your rock. Then carefully trace the outer edge of your template. 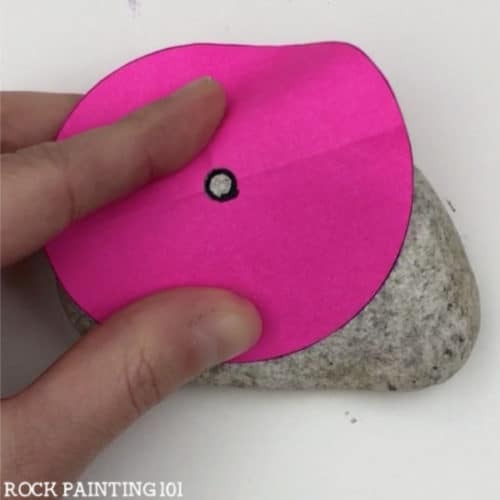 101 Tip: Make sure to keep the center circle lined up then move your thumb out to the edge of your template to keep your circles proper shape even over the lumps, bumps, and edges of your rock. 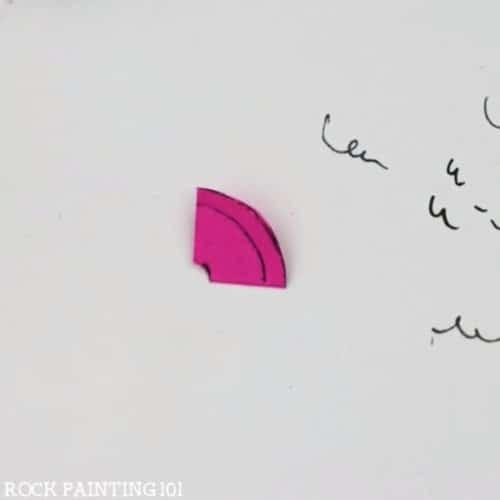 Fold your template back up into fourths and carefully trim the outer edge of the circle creating a smaller circle. 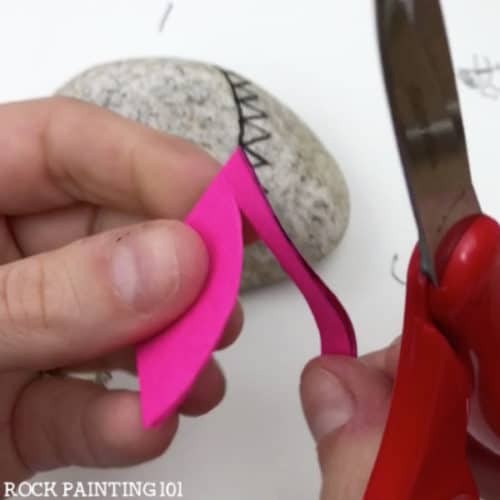 Feel free to draw a line to follow with your scissors as well. Line up your center dot and trace on your smaller circle. Continue this process making your circle smaller and smaller. Decorate each circle along the way or wait until the end. When you are done with your lines go back in with color. For me this was gold. For more tips on the design process watch the full tutorial below! 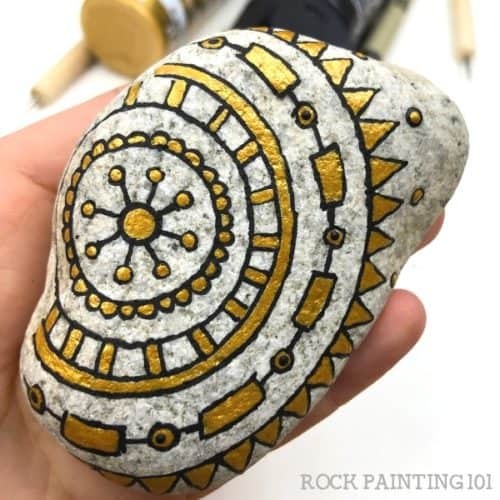 If you have been nervous to try this rock painting style before I hope this helps you jump in and give it a try! 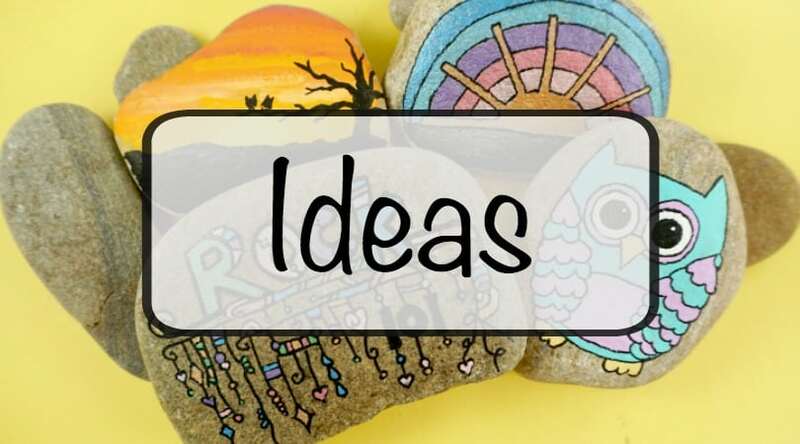 Pin this Idea on your favorite Pinterest board!